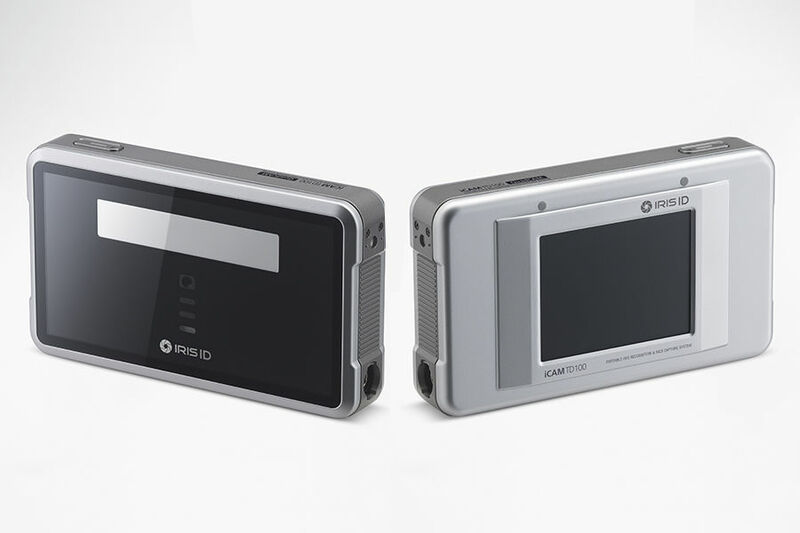 iCAM TD100 from Iris ID is a biometric capture device which can scan dual irises simultaneously or make ICAO-compliant face images. The device is designed to perform iris capture without physical contact. The device features an integrated 3.5" color display for biometrics capture by operator. Also the device can output video to external PC or device for self-capture scenario. The grafical user interface provides interactive guidance for correct camera or subject position depending on biometrics type. The manufacturer specifies that an operator can perform dual iris enrollment in less than 2 second, and complete irises + face enrollment in less than 8 seconds. iCAM T10 – dual iris capture device (binoculars).